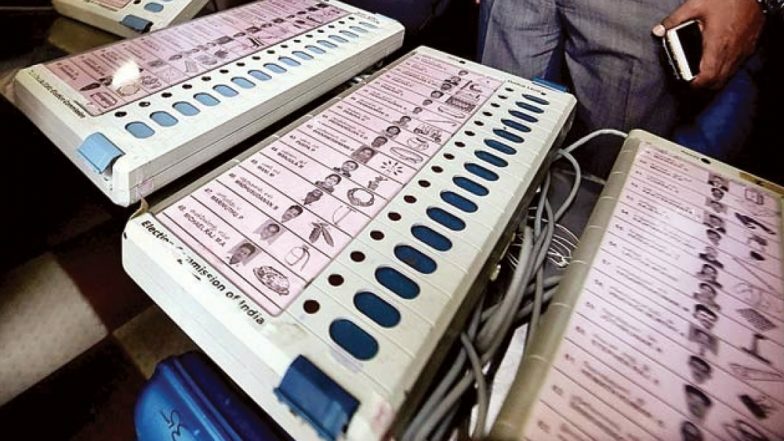 A polling agent of of the Telangana Rashtra Samiti has been arrested for taking his photograph inside an EVM strongroom in Malkajgiri constituency of Telangana. The seat is among the 17 parliamentary segments which went to polls in the state on April 11, when the first phase of Lok Sabha elections 2019 was held. N Venkatesh, who is the polling agent for TRS candidate Rajashekar Reddy, was Saturday arrested and sent to judicial remand, Keesara Police Station Inspector J Narender Goud said. EVM Row: Bijnor Man Claims He Pressed BSP Button, 'But Vote Went to BJP'. The action against him was taken based on the complaint from Chief Executive Officer of Secunderabad Cantonment Board, who is assistant returning officer of the segment. The strongroom where Venkatesh posed with the EVM devices is located in Holy Mary College in Bogaram. Following the incident, security has been escalated. From the Malkajgiri seat, Marri Rajashekar Reddy, son-in-law of sitting TRS lawmaker Malla Reddy, is up against Congress leader A Revanth Reddy and the BJP's senior leader N Ramchander Rao in Malkajgiri. The constituency has a total of 31.50 lakh voters. In 2014, it was wrested b Malla Reddy, who was then a TDP candidate. Following the polls, however, he jumped ship to the K Chandrasekhar Rao-led camp.